The New York Times reports today, that SUNY will present a plan to sell Long Island College Hospital to a developer who would turn much of the property into condos. This is not a shock to anyone reading between the lines in the long SaveLICH drama. Last month, SUNY Board Chairman Carl McCall told attendees at a trustees meeting that a condo option was not on the table. Moments later he told NY1 that condos were a possibility. NYT: SUNY officials said on Monday that a developer has offered to buy the property and lease much of the block that now houses the hospital back to one or more health care providers, who would run an urgent care center, a fitness center and other non-hospital facilities. The facilities would not receive ambulance calls. Other nearby buildings — the hospital comprises about 20 structures — would be turned into condominiums. “We’re doing exactly what the community has asked us to do all along, and that is to find us another operator,” said H. Carl McCall, chairman of the university trustees and a former state comptroller, on Monday. Mr. McCall acknowledged that the plan fell short of maintaining a full-service hospital, as the unions wanted, but said no viable plan had been offered. Mr. McCall said the plan would be presented to SUNY’s Board of Trustees at their meeting in Manhattan on Tuesday. The trustees are expected to vote on whether to proceed to negotiate with the developer. The Brooklyn Eagle adds that many public officials including Council Member Stephen Levin, Congresswoman Nydia Velázquez, Borough President Marty Markowitz, Senator Daniel Squadron, Assemblywoman Joan Millman, and Council Member Brad Lander have asked for SUNY to release all of the responses it received in the RFP process in the transfer of ownership of LICH. I wonder how many people are going to move into an area that has 1. no room in the schools for kids and 2. no urgent care facilities in case of emergency. You’d have to be pretty stupid, or very entitled to think you are so special that you will never get hurt and your kids will somehow magically find a space in the overcrowded schools. It’s not only public schools, even the private schools are busting at the seams. LICH Was $400 million inn red in 2011, now $500 million in Red. LICH is a money pitt. The NYS Comptroller said a majority of SUNY’s fiscal issues are related to LICH, so there is no place for LICH to go but close. Wrong Mike. 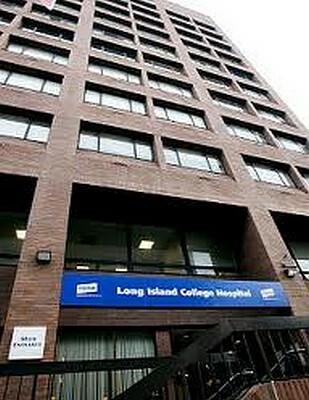 Just because SUNY wont manage LICH responsibly doesn’t mean that LICH must close. It just means that it must be taken away from SUNY & handed over to responsible management. And the same way SUNY got it for no money changing hands, they should hand it over without any money in changing hands. Carl McCall needs his face slapped for parsing words, lying, & smirking about it. The community told him to find another HOSPITAL operator to restore LICH as a full hospital & manage it responsibly. We did not tell him to find a luxury condo developer & an operator for the luxury fitness center the condo owners could have at their disposal. The community always said turning LICH into condos was not acceptable. The community never told SUNY to just find anybody to buy real estate. The community insisted that we find another HOSPITAL operator. Carl McCall the liar smirks & says he’s doing exactly what the community asked but he is doing the exact opposite.